Well hello! Did you think I'd been swallowed up, never to return? Nah, I just shrunk back for the remainder of the holiday season - more or less unplugging (as much as humanly possible these days) and gathering thoughts, spending time with my dysfunctional family and, more or less, enjoying every moment. Hope you've done the same. With 2015 so close, let's talk desktops first. This month I present two different wallpapers. The top one is fresh and bright with a hint of artistic encouragement. It has a calendar and a space at the bottom for your desktop pending files, pics, etc. Just click on the image or here to download. "She Believed She Could and She Did" is a sweet little motivational phrase, appropriate for a New Year, starting fresh kind of desktop. Click on the picture or here to download this wallpaper. Ironically, my word for 2014 was "focus". I say ironically because, despite my best efforts, 2014 was probably the least focused year of my life - not including a few scattered years in my early 20's. I like to blame this current lack of focus on my traitorous thyroid. Still trying to iron out that one. The family sat around discussing words recently. Son, who completely destroyed his knee in 2014, decided on "better". Okay. Daughter picked "relationship". Hubby (and this comes as no surprise to me) decided on "fun" or "more fun". For me, I'm thinking "RE-focus" maybe. Or "Focus on..." and change my focus each month. That keeps things orderly yet vaguely uncommitted. Until I decide, I'll be using the desktop above. She believed she could and she did. How about you? Have you picked a word for 2015? Thanks for the beautiful desktops! I've been pondering words for 2015 for the last few weeks. I am having trouble whittling it down to one. Too many goals for the year! :-) Perhaps it should be "simplify". i love the idea of a monthly focused on idea/project etc….happy new year to you and yours and maybe someday our paths will cross. 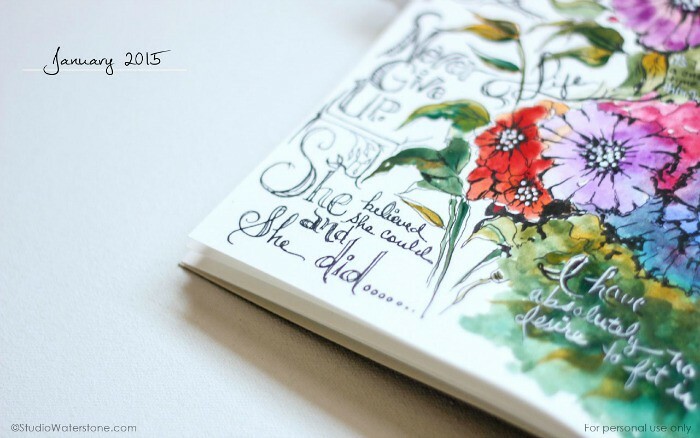 i would love for 2015 to be the year of meeting more bloggers in person. it's been a few years since i concentrated on that….and it's time!!! Thank you! 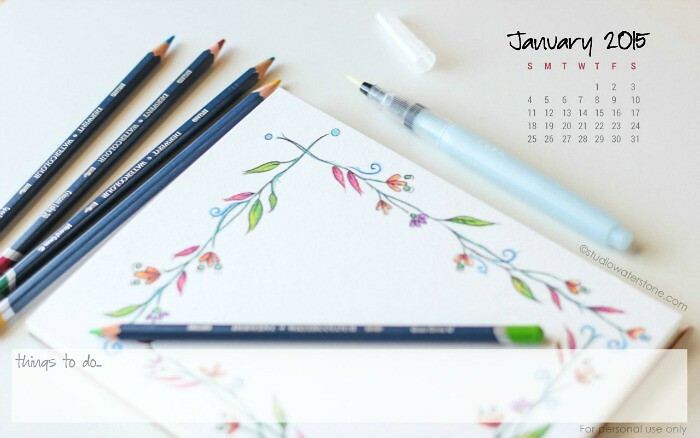 Always love your desktops :) I'm still deciding on my word for 2015, think it's such a great idea to focus on one word and make it your mantra for the year. Funnily enough, I've just written a post partly about 'words of the year'! I've decided I don't like them, for similar reasons that you experienced in 2014. I'm avoiding the feeling of failure by not picking one word, but trying to focus on a more holistic approach to life as a general idea. Thank you for the beautiful desktop - just perfect. Happy new year Lori ! You know we're quite in synch, so re-focusing or focusing on something would be equally useful to me in 2015. Wishing you good health, fun & creativity for this year. Thank you so much for the desktop wallpaper ! Pretty as usual !